Hoosier Beer Geek: A Beer Blog for Indiana, from Indianapolis: Before Canvitational, get to know Piney River Brewing! Before Canvitational, get to know Piney River Brewing! 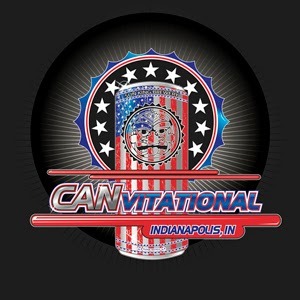 We are pleased to have Piney River Brewing join us for Canvitational this year. Joleen and Brian Durham founded the brewery in 2010 in South Central Missouri. It started as a nano brewery (in a barn!) and has grown quickly. Their award winning beer is only distributed in Missouri and Arkansas, make sure you stop by to sample their brews and say hello! We listen to a WIDE range of music from Led Zeppelin to Nickel Creek. There's really no telling what you might hear playing in the brewery on any day, but I know Jason Isbell, Old Crow Medicine Show, Jack White, Mumford & Sons and the Avett Brothers have their very own pre-programmed Pandora stations. Our mission is to make high quality craft beer that celebrates the Ozarks. We enjoy almost all well crafted beers--enjoying each for its own style. We love our hops, and we've got quite a few sours in our cellar right now. Joleen & Brian Durham founded Piney River Brewing in 2010 in a 75 year old barn on our farm. We were homebrewers that loved local craft beer. We started out brewing on a 10-gallon system and grew to a 7-barrel brewhouse and related equipment in 2011. We were also the first microbrewery in Missouri to can our beer at our brewery (in November 2011); since we are in the heart of the Ozarks, we have always been committed to brewing beer that was portable in nature. Piney River Brewing has been growing rapidly since the brewery's inception. We won a gold medal for our Old Tom Porter at the GABF in 2013 and a Gold for our Float Trip Ale at the World Beer Cup in 2014 (both will be poured at Canvitational). We are planning to at least double our production capacity in 2015 with a new brewhouse and related equipment. Our goal remains to continue to brew great craft beer in the Ozarks.